I have decided I want to try running again. I saw a training plan that didn’t look too difficult on Pinterest that I want to give a try. I determined if I’m going to try to alternate running and walking on a time schedule, I really need a watch. 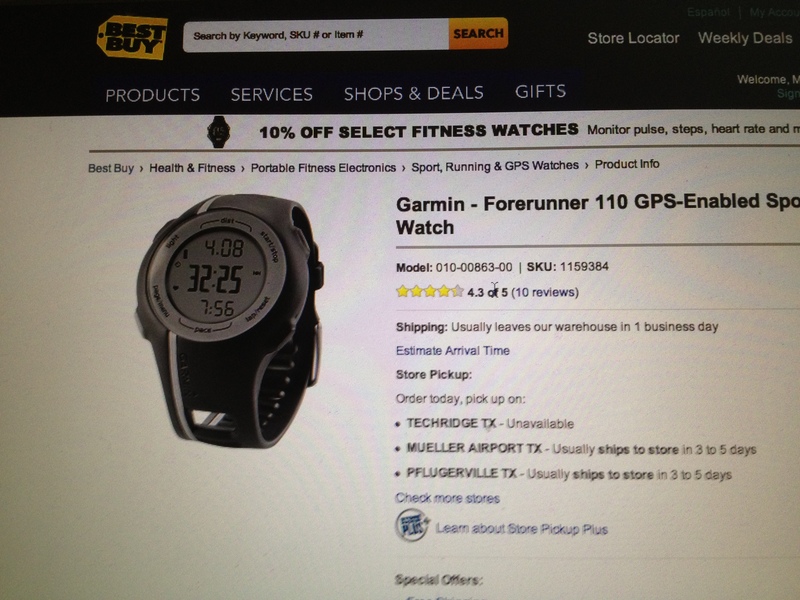 I ordered a new Garmin Watch from Best Buy today! I can’t wait to get it!! I’ll let you know if it was worth the money once I get it in a few days! If anyone has any experience with this watch, please let me know what you think. Garmin – Forerunner 110 GPS-Enabled Sports Watch – 010-00863-00.